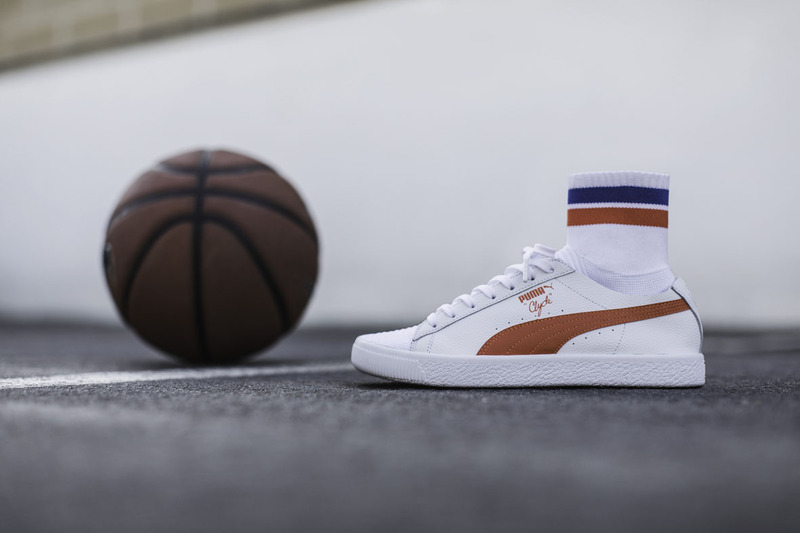 PUMA makes a progressive move with the PUMA Clyde Sock by giving new life to an OG silhouette. Always pushing the boundaries of innovation and design, it was only natural for PUMA to combine one their most iconic silhouettes with their latest technology – evoKNIT. It’s a perfect synthesis of the past and the future. The PUMA Clyde Sock NYC takes cues from the signature kicks and tube socks that Walt Frazier wore during his basketball games. The reimagined classic features four different colour ways, two of which pay homage to his New York City home team with blue and orange making up the upper and the other two keeping it simple with black and white hues throughout. Balancing vintage appeal with modern tech, the new silhouette is amplified with an attached fully knitted sock featuring PUMA’s evoKNIT technology that ensures a cozy, snug fit with the right amount of comfort and support. 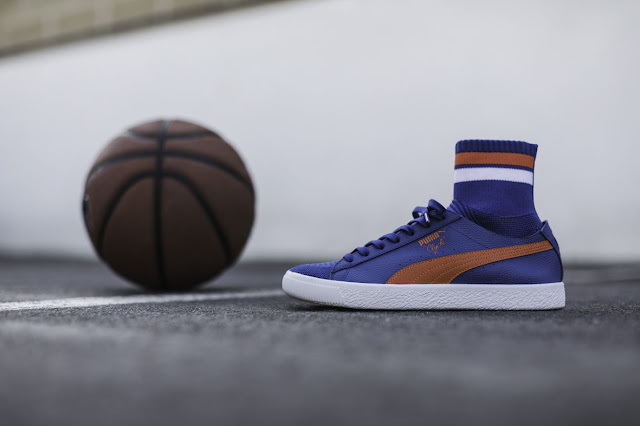 In keeping with its sports roots, the upper is decked in premium leather paneling that resemble the texture of a basketball. 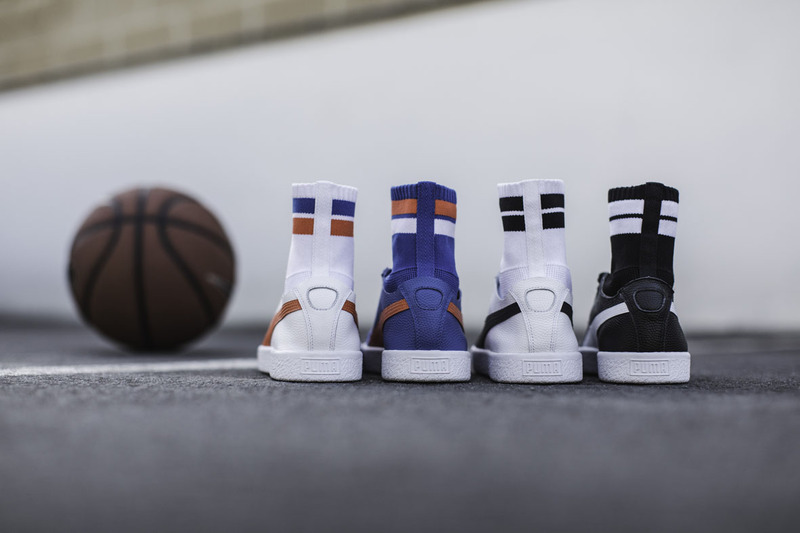 The new PUMA Clyde Sock NYC drops Thursday, 13 April 2017, for R2499 at PUMA SELECT Bree Street, Cape Town and Braamfontein, Johannesburg and selected retailers.